Today, right now, you might just need the answers to these half-dozen questions with debut novelist Jay Baron Nicorvo. He talks about inspiration and the blue-collar work of writing, about trespassing and stealing, about impeccable research and twenty-years of rejection, about the fourth novel becoming the first one to get published, about endurance and interminable effort. 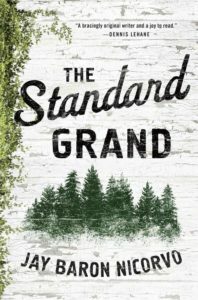 His novel THE STANDARD GRAND has just been published by St. Martin’s Press and has been belovedly praised by the likes of Dennis Lehane, Pam Houston, Bonnie Jo Campbell, and Nick Flynn. It’s an honor to host him here today. Some writers hate to write. Other writers love being engaged in the creative process. How would you describe your relationship with the page? Writing for me isn’t fun. It’s work, good work. Coming from a blue-collar background, I have a blue-collar approach. I wake early. Drink coffee. Sit down everyday at my desk and start moving words around. For me it’s nearly manual labor! Even though it isn’t fun, it is the most satisfying, the most engaging, activity in my life. When I’m writing well, I feel smarter. More alive. My senses are more attuned to the world and all that occupies it. While writing, I am most myself. While not writing, I’m less sure of who I am. Research. We all have to do it. Sometimes it’s delicious, sometimes brutal. Tell us a tale from the research trenches. For this novel, I trespassed a lot. In ’07 my wife, Thisbe, and I sought to buy our first home, driving throughout the Hudson Valley. We looked at over 100 houses, and ultimately landed in Saugerties, three miles from Woodstock, in the foothills of the Catskills. On weekends, we aimlessly drove every county and seasonal road within 200 miles. In the Catskills, you get the astounding union of two separate but related brands of Americana. It’s where the Borscht Belt meets the Rust Belt. All that desertion, that abandonment, speaks volumes about America. Desertion — going AWOL — is one of the most — if not the most — American of archetypes. This nation was founded — or occupied — and then filled by people who deserted their homelands or were forcibly removed from them. 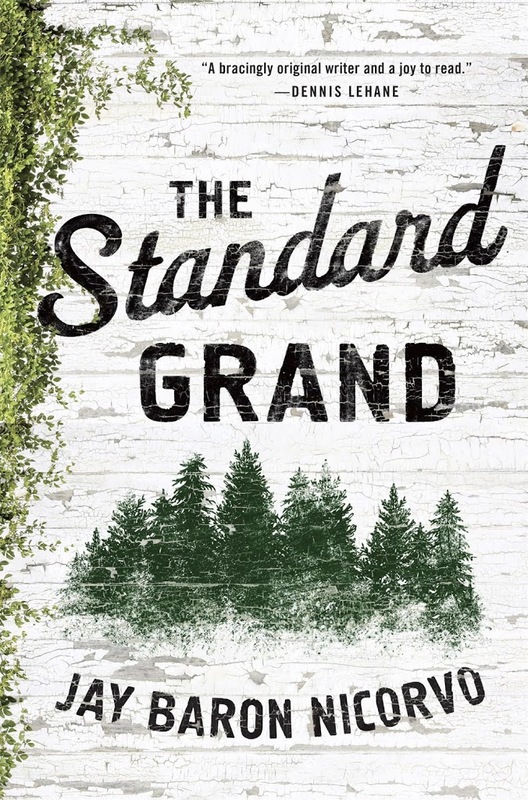 When I began writing TSG, Thisbe and I stole into a number of the abandoned Catskill resorts: The Concord, The Nevele, Kutcher’s, on and on. At Grossinger’s, I gathered artifacts I still have: a bar of deodorant soap, blank checks, flyers for a Halloween party. Raised Roman Catholic, I’d married into Borscht culture. My mother-in-law is a Russian Jew, born in Yonkers, who spent time as a child at the Catskill resorts. Like I did with my sister-in-law’s military service, I wrote my way into an understanding of — a love for — this group that was now part of my family. I was maniacal in my research, reading everything I could about the Catskills, about the wars in Iraq and Afghanistan. I read exhaustively about the homeless. I’d volunteered at a Salvation Army shelter and at a halfway house in Bed-Stuy. I immersed myself in the activities of environmental activist groups, the zoology of mountain lions, Senate committee reports, and I watched countless videos of Sammy Davis Jr. to get his voice right. I nearly drowned in monographs about Maya civilization and the Maya language. Assuming the persona of one of my characters, I wrote a faux-translation of an ancient Maya text, “The Interrogation of Lady Xoc,” which I cut from the novel after spending months on it. Also while researching, I made one revelatory — and newsworthy — discovery. I was shocked, and heartened, to find how leniently the US military treats deserters. If you’re not a Sgt. Bowe Bergdahl deserting from a combat zone, you’re practically granted administrative amnesty. This information isn’t readily available. The Pentagon prosecutes deserters who speak out but few others. At the height of prosecutions, fewer than five percent of deserters received court martial. If every soldier knew the Pentagon’s policy on desertion, more soldiers would desert. This disclosure has gotten little media attention, overshadowed as it is by the extremes of the Bergdahl case. I want my novel to function as something of a dramatic exposé. This information needs to be made public. The people choosing to fight our wars for us have a right to know what happens to them if they change their minds. Anything less is coercion. In this way, and by this revelation, my novel just might serve some small public good. What kind of child were you, inside of what kind of childhood, and how did it shape you as a writer? I was a little liar. The shame I felt — at being a poor kid at a Catholic school in Jersey, and then the indignity of being a poor kid at a public middle-school in Florida, where we indigent stood in line every Monday to get our free-lunch tickets — was painfully acute. So I told lies to the belittling middle-class kids. When my mom dropped me off in her rundown Plymouth Valiant, and the other kids laughed and made fun of me, my mom, and the car, I’d say that the woman driving was my aunt. That was her car. My mom’s car was much nicer. You wouldn’t believe how fancy. I don’t think I fooled anyone, but my stories distracted them long enough that they turned their attention momentarily elsewhere. My formative years were spent in protracted fraudulence — I was a hoodlum — that lasted till I turned 18. Then, as a legal adult, I had a brush with the law that, very literally, scared me honest. Shortly thereafter, I decided I wanted to be a writer. The transition from liar to writer is easy in some respects, impossible in others. What other jobs have you had — other than writing or teaching writing? Did one of these help shape you as a writer? When I was thirteen, my mom made me get a job. She needed help with bills, and every little bit mattered. She forced me to call the numbers in job ads, and I landed one for phone solicitors, a position so lowly that they resorted to child labor. I vividly recall that first time my mom drove me to work after school. It seemed outrageously unfair. At 13, to have to go from a seven-hour school day to a five hour stint cold-calling names off a list? On that first drive to work, I was in grave mourning for my childhood. I think I still am. Although, as phone solicitation goes, it could’ve been worse. I could’ve been selling sinkhole insurance or some such. As it was, I made calls asking for donations to the Florida Police Athletic League. I had a script I read from, and I’m sure its seared somewhere in my memory. On my death bed, it’ll surely come to me. My final words will end up being the desperate plea of a teenage telemarketer. It was spirit-crushing, and I was terrible at it. I lasted a week before I couldn’t take it anymore, and with my mom’s help, I got another job bagging groceries at Winn Dixie, ultimately reaching the rank of stockboy, where my aisle was toilet paper. Eventually, after stints helping my stepfather install bathrooms and a neighbor with his lawn-care business, I ended up in the service industry, waiting tables for The Melting Pot, a fondue restaurant. I was a server at restaurants until I was 30, all through community college, college, grad school and beyond. Being a good server is all about anticipation. I was a very good anticipator — I think because I’m anxious — and I was a very good waiter. There’s no difference between waiting tables and writing novels. Ok, maybe some little difference. But at heart, novel writing is the practiced art of anticipation. Poetry always came easier to me. I won poetry contests pretty early on. I started publishing poems toward the beginning of my apprenticeship. My first book, ten years in the making, was a collection of poems. But I was writing fiction all the while and facing nothing but rejection for twenty years, till now. Here I am, having finally published a novel — the first one published is the fourth one I’ve finished — and I can move on. Of late, I’m writing nonfiction. I don’t know what’s wrong with me. In life and love, I like to tuck in, stay settled. But in my writing, I’m a nomad. I seem to want the thing I don’t have, whatever comes hardest, and then — after interminable effort, after an avalanche rejection — maybe I get it, and maybe because the getting was so fraught, I don’t care to go through it again? But I don’t think that’s it. I think I need the struggle. I must be a masochist. You can’t count on success; the struggle you can be damn sure of. 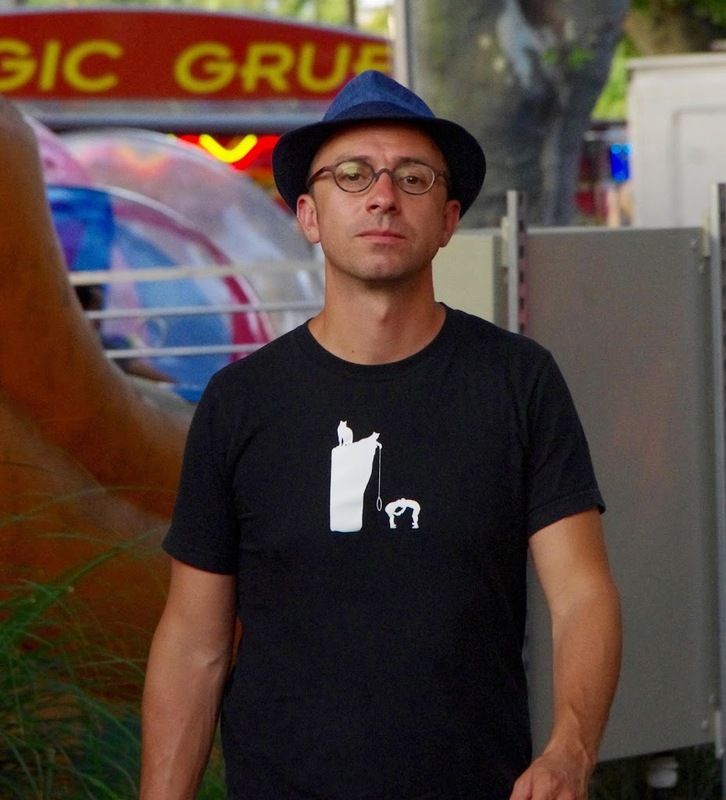 Jay Baron Nicorvo is the author of a novel, The Standard Grand (St. Martin’s Press, 2017), and a poetry collection, Deadbeat (Four Way Books, 2012). He lives on an old farm outside Battle Creek, Michigan, with his wife, Thisbe Nissen, their son, and a couple dozen vulnerable chickens. Find Jay at www.nicorvo.net.